Filthy lucre just got a new meaning. Plastic notes of the type chosen this week by the Bank of England as the next generation of paper money have been found by researchers to be the host of choice for some of nature’s nastiest bacteria. A study of the survival rates of microbes such as E.coli and the MRSA superbug when placed on seven different currencies has found that they thrived best on money printed on the plastic polymer banknotes earmarked to be introduced in Britain in 2016 following a public consultation. The research by Dutch and Turkish scientists pinpointed the Romania leu, which is made from the same material selected by the BoE, as the most hospitable environment for the tested bacteria, which lasted for a minimum of six hours on the plastic notes. In the case of MRSA, the bug was still detectable on the banknotes after 24 hours. The researchers recommended washing hands after touching banknotes but underlined that their findings did not mean the plastic money represented a particular health hazard. 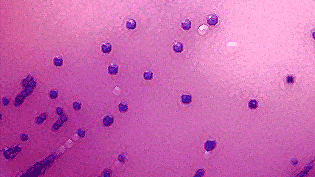 Prev:The global antibiotic resistance epidemic: how can we stem the tide?